In December 2014 Carnival Corporation and ship-builder Fincantieri signed a Memorandum of Understanding (MOU) to consider building cruise ships in China for the Chinese and Asian cruise markets. Last week Carnival Corporation signed another MOU, this time with China Merchants Group (CMG), to explore the possibility of two joint ventures designed to accelerate the development and growth of the cruise industry in China. This MOU will look at two joint ventures, the first being a Ship-Owning Joint Venture and the second being a Port & Destination Development Joint Venture. The Ship-Owning Joint Venture would see Carnival Corporation and CMG own and operate their own cruise ships as part of the first-ever domestic Chinese cruise line specifically targeted towards the Chinese market. The joint venture would explore the possibility of sourcing new ships that are designed and built in China, along with the possibility of acquiring second-hand cruise ships. The Port & Destination Development Joint Venture would see CMG and Carnival Corporation collaborate to develop turnaround and transit ports within and around China. This would begin with a flagship port currently being developed by CMG called Prince Bay Cruise Terminal in Shekou, which is located in Shenzhen. The partners would work to have cruise ships sail from this flagship port, while also developing other cruise ship destinations across China and Northern Asia. “The MOU we signed today signifies a great opportunity to take the next step in the future of Chinese cruising, while addressing some key needs for both the cruise industry and its passengers in China. With CMG’s amazing track record, reach and influence in the market, we are working with a strategic partner that can help us explore immediate ways to impact cruise growth in China, including the possibility of a new Chinese cruise brand and new destinations” said Alan Buckelew, Chief Operating Officer of Carnival Corporation. Carnival Corporation just recently announced its plans for immediate capacity growth in China in 2015 to meet growing demand. 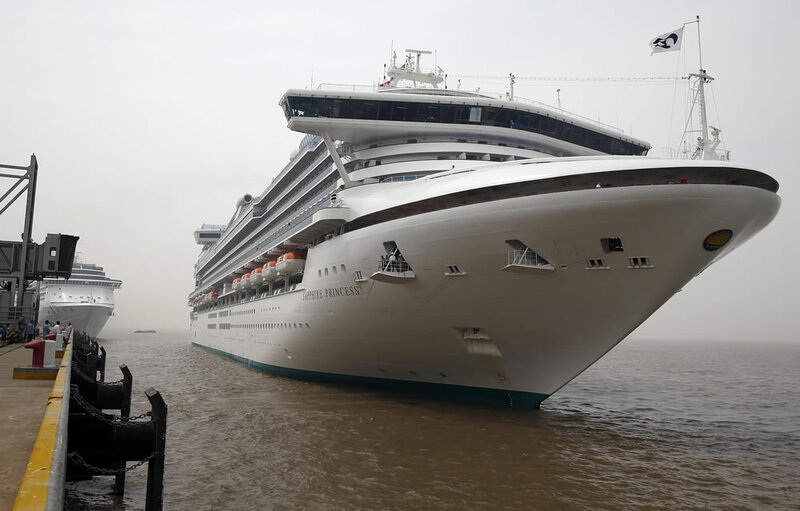 Costa Serena, Costa Atlantica, Costa Victoria and Sapphire Princess are all home-ported in China this year. Carnival Corporation is growing its market presence in the region and expects to carry 500,000 cruise passengers in China this year.